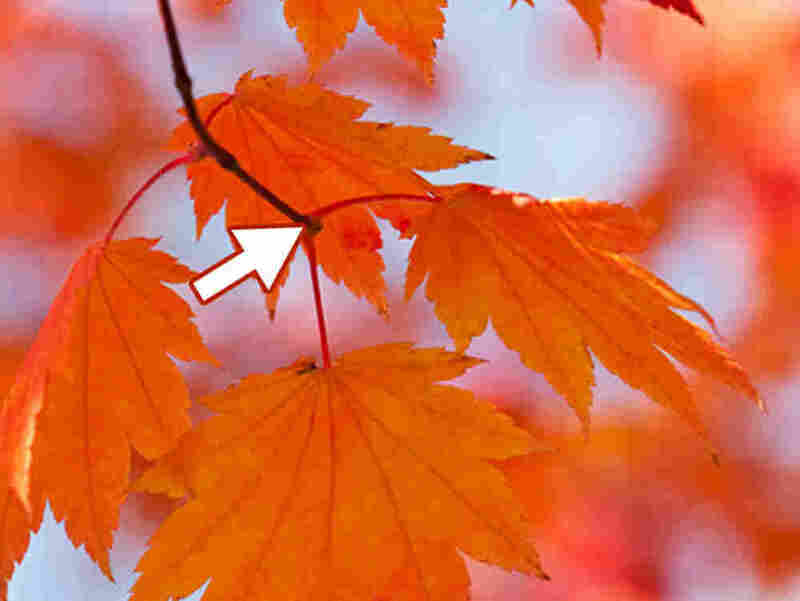 Why Leaves Really Fall Off Trees : Krulwich Wonders... You think you know why leaves fall off trees. Well, you're wrong. It's not the wind. It's not the cold. Because leaves aren't the brightest bulbs in the world, the tree has to make an executive decision come fall. You think you know why leaves fall off trees. Well, you're wrong. It's not the wind. It's not the cold. It's because trees use "scissors" to cut their leaves off. We call this season the "fall" because all around us right now (if you live near leaf-dropping trees in a temporal zone), leaves are turning yellow and looking a little dry and crusty. So when a stiff breeze comes along, those leaves seem to "fall" off, thus justifying the name "fall." But the truth is much more interesting. 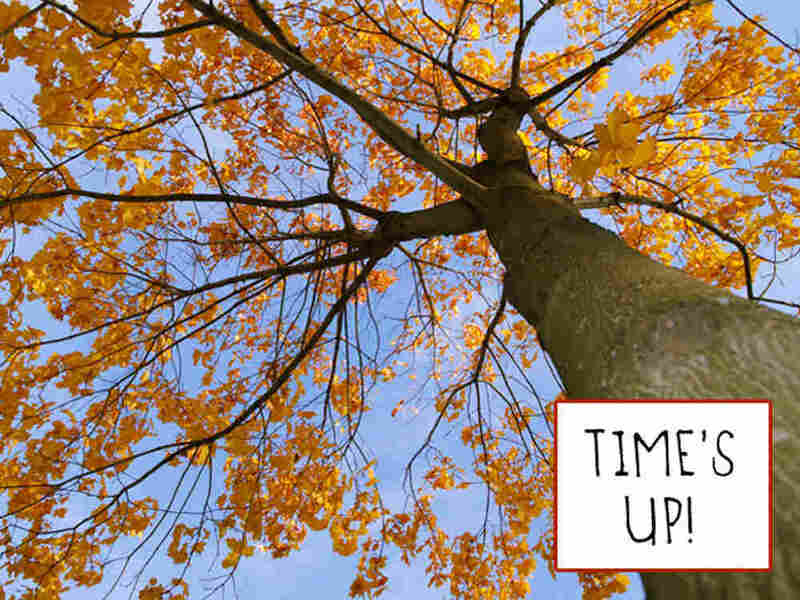 Around this time of year in the Northern Hemisphere, as the days grow shorter and colder, those changes trigger a hormone in leaf-dropping trees that sends a chemical message to every leaf that says, in essence, "Time to go! Let's part company!" Once the message is received, says Raven, little cells appear at the place where the leaf stem meets the branch. They are called "abscission" cells. They have the same root as the word scissors, meaning they are designed, like scissors, to make a cut. 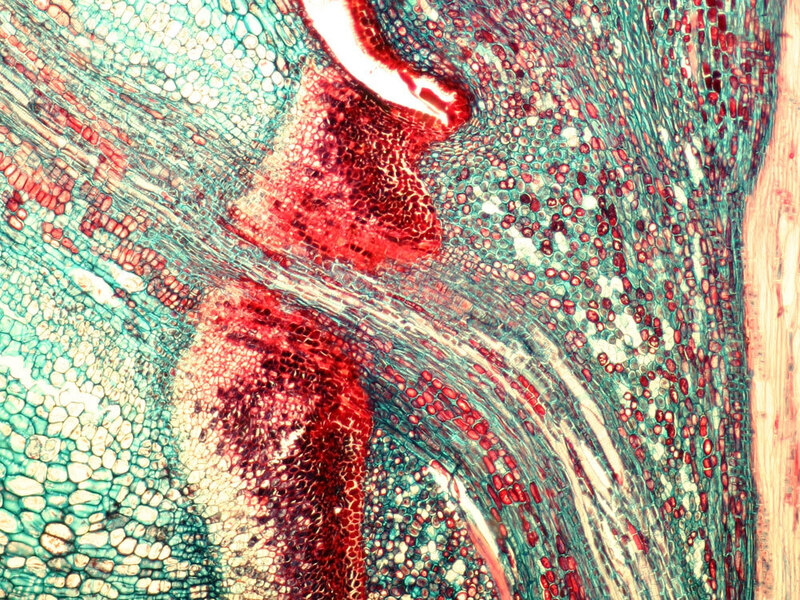 The scissor cells are stained red and mark the boundary between the branch (left) and the leaf stalk. And within a few days or weeks, every leaf on these deciduous trees develops a thin bumpy line of cells that push the leaf, bit by bit, away from the stem. You can't see this without a microscope, but if you looked through one, you'd see those scissors cells lined right up. That's where the tree gives each leaf a push, leaving it increasingly dangling. "So with that very slender connection, they're sort of ready to be kicked off," says Raven, and then a breeze comes along and finishes the job. So the truth is, the wind isn't making the leaves fall. It's the tree. The tree is deeply programmed by eons of evolution to insist that the leaves drop away. Why? Why not let the leaves stick around? Why drop? Raven explains that leaves are basically the kitchen staff of a tree. During the spring, summer and early fall they make the food that helps the tree grow and thrive and reproduce. When the days get short and cold, food production slows down, giving the tree an option: It can keep the kitchen staff or it can let it go. If trees kept their leaves permanently they wouldn't have to grow new ones, but leaves are not the brightest of bulbs (sorry!). Every so often, when the winter weather has a break and the days turn warm, Raven says leaves will start photosynthesizing. "They get some water up and they start operating and making food and then it freezes again." When the cold snap's back on, the leaves will be caught with water in their veins, freeze and die. So instead of a food staff that's resting, the tree is stuck with a food staff that's dead. And when spring comes, the permanent help will be no help. The tree will die. That's why every fall, deciduous trees in many parts of North America get rid of their leaves and grow new ones in the spring. It's safer that way. 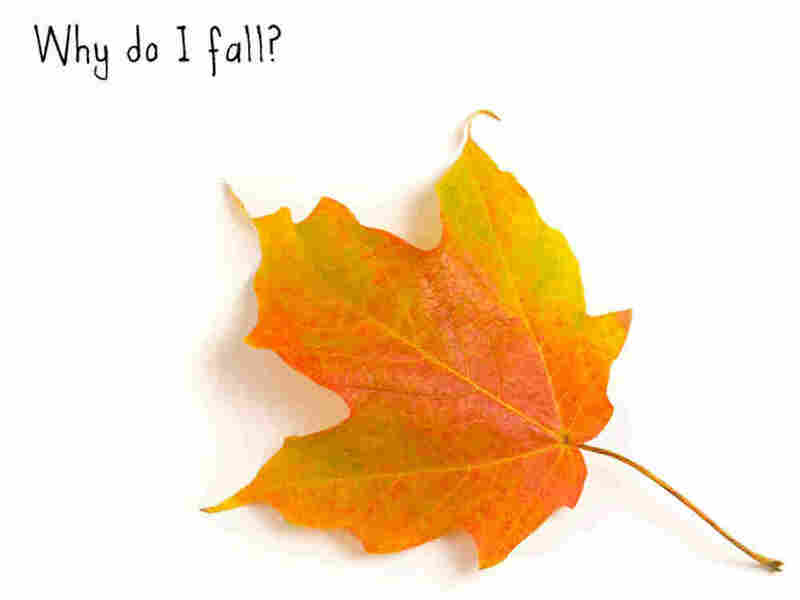 So for leaves, falling in the fall isn't optional. The trees are shoving them off.